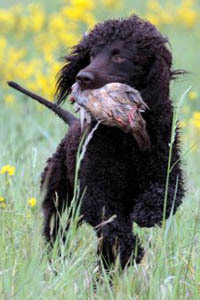 Welcome to the Irish Water Spaniel Club of Puget Sound! Our website is regularly updated with new events and information. We hope you enjoy our website and find it informative. Needs for the web page! It would be extremely helpful for to the IWSCOPS to have new photo's uploaded to the photo galleries so they can be added to the scrolling home page and for any future calendars.